Imagine having a little more space around your home. What would you do with it? 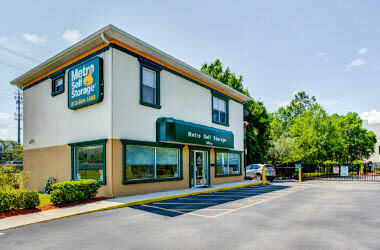 Whatever your vision for newly uncluttered spaces, Metro Self Storage offers a broad selection of storage units for rent in New Tampa that can help make life more manageable. 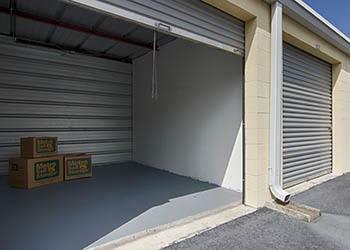 A budget-friendly 5X4 climate-controlled storage locker can hold extra electronics, camera equipment, and many other types of smaller temperature-sensitive items. Our popular 10X10 to 10X20 units are the perfect choice if your garage has everything in it except your car, and month-to-month leasing gives you the option to store for any length of time you choose. 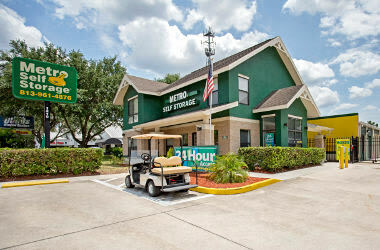 We make managing your storage simple with convenient online bill pay, and if you are looking for cheap storage rates in Tampa Palms then don’t miss our online storage prices. 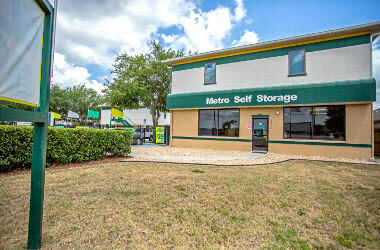 Combine these Metro advantages with our friendly, expert staff and you will have a storage experience that is one of the best in town. 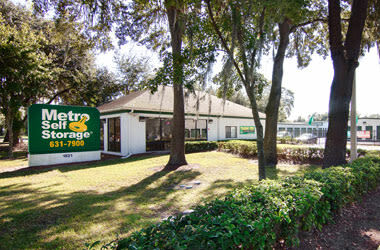 If your business could benefit from commercial storage space, consider Metro Self Storage as your storage solution. Our commercial storage units are like having an extra warehouse space just around the corner to store things like equipment, kiosks, and inventory. 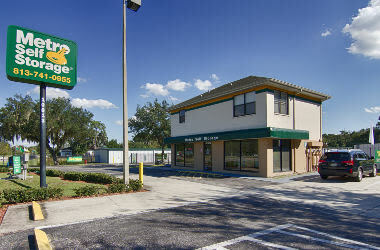 We also offer commercial climate-controlled units for rent in Tampa that offer up 300 sq. ft. 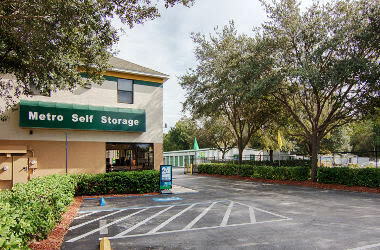 When it comes to the bottom line, you won’t have to worry about expensive long-term leases because we give you the flexibility of month-to-month storage rental. 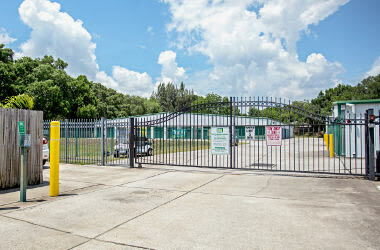 Our facility in New Tampa provides 24-hour gate access, online account management, and 24-hour surveillance cameras offering the ultimate in service and convenience. Let us help you expand your business and increase productivity. Call us and find out how easy it is to move in with Metro.